While Christmas/holiday train rides have been around for quite some time, interest spiked after Warner Brothers Pictures released The Polar Express in November, 2004. The movie is based from Chris Van Allsburg acclaimed children's book by the same name, originally published in 1985. Today, numerous organizations host officially licensed trips featuring his work and these usually sell out months in advance. However, not all have chosen this route and instead offer their own Christmas-themed excursions. Many are also quite popular and some, too, sell out quite quickly! Featured below is a 2018 schedule of such events which are expected to operate. If you would like to learn more about officially licensed The Polar Express events please click here. Please Note! While I have striven to make sure the information presented is accurate to the best of my knowledge, I cannot say-so with 100% certainty. Please contact each individual organization regarding available trains, specific dates, times, and ticket pricing. 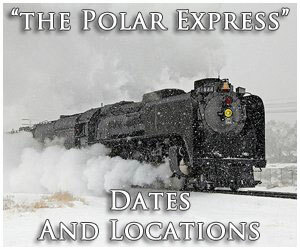 Heart of Dixie Railroad Museum: The North Pole Express/Santa Special is offered exclusively by the museum with kids able to meet Santa during a one-hour train ride and receive a small gift from the Jolly Man. The Santa Special is offered on select dates during December while the North Pole Express is available most Fridays through Sundays from mid-November through early December. North Alabama Railroad Museum: The Santa Train carries a Christmas theme with the kids meeting Santa. Overall the ride lasts for about 40 minutes and runs on two Saturday's in early December. They now also offer a second holiday-themed train, the North Star Limited. A bit similar to The Polar Express, the kids can enjoy a train, meet Santa, receive a small gift, and enjoy a snack upon arrival. ﻿Arkansas & Missouri Railroad: This short line freight system also offers a number of Christmas-themed activities after Thanksgiving including a Children's Christmas Train, the Holiday Express, Holiday Pizza Express, and even Pajama Trains similar to The Polar Express. 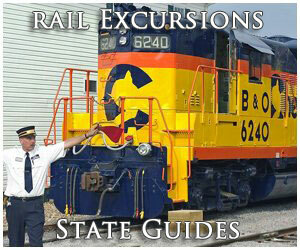 Please visit the railroad's website for more information about these trips. Fillmore & Western: The North Pole Express is the Fillmore & Western's own Christmas train offered from late November through late December. It is quite a spectacle with the entire grounds decorated, Santa greets passengers as they board, and a story is read during the ride. The railroad also hosts several other activities such as the Sugar Plum Express Holiday Village & Tree Train, Return Santa To The North Pole, and Murder Mystery Dinner Train - The Holiday. Max's Miracle Ranch: This ranch is located in Biggs and offers a number of activities for the public along with being a working farm. On the grounds they also operate a scale railroad which hosts train rides, including their Christmas Light Extravaganza. They also sell Christmas trees and wreaths for the holiday. Napa Valley Wine Train: The Santa Express Train is offered by the railroad from late November through late December and features a one-hour ride where kids able to meet Santa during the trip. Nevada County Narrow Gauge Railroad & Transportation Museum: Based in Nevada City this organization hosts excursions on its property. While these do not include any type of Christmas or holiday train ride they do offer "Christmas At The Railroad Museum" allowing the kids to visit Santa and receive a gift. Niles Canyon Railway: Offers the Train Of Lights through late November and during late November and throughout most of December with the train decorated in Christmas lights for the holiday season. Pacific Southwest Railway Museum: The North Pole Limited is operated in late November through late December on the weekends. It lasts for about an hour and a half with elves serving kids hot chocolate and cookies followed by a story reading and finally meeting the Big Guy himself. Roaring Camp Railroads: The Santa Cruz Holiday Lights Train is a unique experience offered during late November through late December where riders can ride through the streets of Santa Cruz enjoying treats, listening to music, and visiting Santa and Mrs. Claus. They also host the Holiday Tree Walk, where a daytime train trip to Bear Mountain allows guests to disembark and view the beautifully decorated Christmas trees. Sacramento RiverTrain: The Magical Christmas Train is a 90-minute ride during November and December where kids and adults are both able to experience a whole host of activities from meeting Santa to enjoying treats and listening to live music. It is quite an experience! The railroad also hosts a Holiday Dinner Train during select weekends in December. Finally, after Christmas a Holiday Excursion is offered in late December. Skunk Train: The Skunk Train is based in Fort Bragg and offers the Magical Christmas Train during November and throughout much of December. It is a 90-minute train ride with music, hot chocolate, music, and a visit from Santa himself. Western Pacific Railroad Museum: Based in Portola, the WPRM offers their Santa Train excursion during select weekends in December this year. Georgetown Loop Railroad: The Santa's North Pole Adventure is offered weekends from mid November through early January. While aboard the train kids get to meet Santa and enjoy candy, cocoa, cookies, and receive a small gift. They have also added Santa's Lighted Forest Trains, which run from mid November through the end of December. 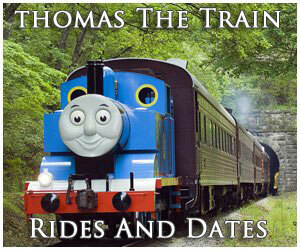 This railroad also offers authentic steam locomotives further enhancing the ride. Royal Gorge Route Railroad: The Santa Express offers different classes of service and begins in mid November with trips running daily throughout much of December. Trains travel to the North Pole to see Santa and during the ride kids are able to enjoy treats and a story reading. They also now host the Holiday Train during late December. Danbury Railway Museum: This organization, which features both displays of historic equipment as well as train rides, offers Santa Railyard during select dates in December where folks can take a short train ride to Santa's Toyland. Essex Steam Train: Their Santa Special offers Christmas train rides behind steam locomotives. Trains run from late-November through late-December, during an hour long where the kids able to meet Santa and Mrs. Claus as well as receive a souvenir gift. They also now host the North Pole Express throughout most of November and December. To learn more about their trips please click here. Naugatuck Railroad: The Santa Express allows kids to see Santa during the hour and a half train ride. Additionally, the railroad offers the Northern Lights Limited. Both of these trains run during select dates in late November and into December. Visit their website to learn more. Shore Line Trolley Museum: This museum operates historic streetcars and trolleys, offering rides throughout the year. They also host special events, including the Santa's Trolley Winter Wonderland from late November and through mid-December. 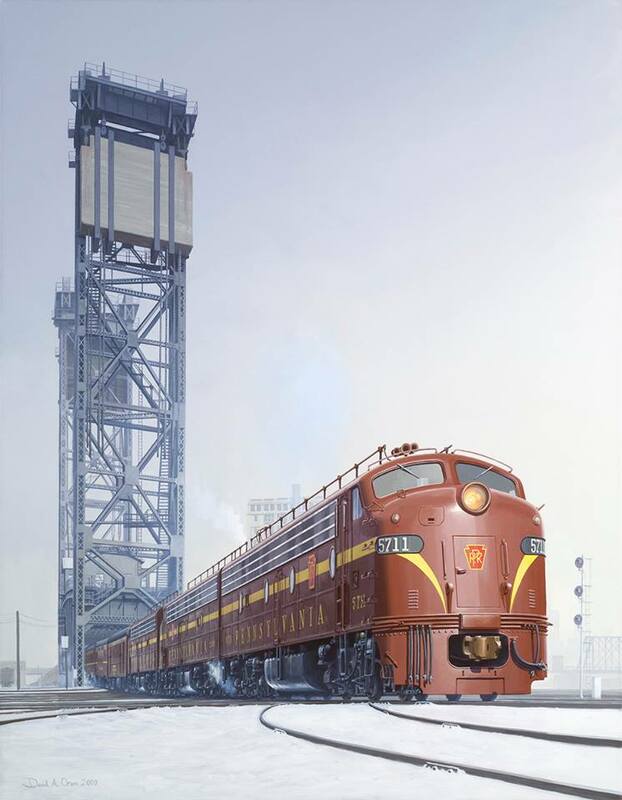 Wilmington & Western Railroad: The W&W's Santa Claus Express offers an 1.5-hour trip from late-November through much of December. The railroad also offers the uniqueness of steam-powered trains. The event features chocolate and, of course, a meet-and-greet with Santa. The railroad also hosts the Holiday Lights Express, using their restored Doodlebug railcar, during December. The car is decorated in lights and a 45-minute trip allows passengers to see the decorated private homes near the railroad. Finally, as an early celebration of the holiday season they host the "Christmas In July" specials. Florida Railroad Museum: The popular North Pole Express offers kids the chance to meet Santa. These trips are hosted from late November through mid-December. Also be sure and check out their "Christmas Party Caboose" available for private parties during the North Pole Express event. Seminole Gulf Railway: The Christmas Rail Boat is an enjoyable train ride/boat trip that showcases the Christmas lights around Punta Gorda. It is offered a few times in December. They also feature a special play for the Christmas Eve this year entitled "Wicked Winter Wonderland." Blue Ridge Scenic Railway: The railroad's popular self-proclaimed Santa Express runs from late November until December 23rd with daytime and nighttime trips available. During the one-hour ride the kids get to see Santa and his elves, sing songs, and hear a Christmas story. Also during December they host a longer excursion known as the Night Train To Santa's Pavilion. To learn more about their holiday trips please click here. SAM Shortline: This tourist line, based in Cordele, offers a one-time event on the first Saturday in December known as the Christmas In Plains, providing a train ride to Plains where passengers can enjoy the sights of area Christmas lights and decorations along with a parade and seasonal music. Finally, they offer the Candy Cane Express, Mistletoe Express, and Breakfast with Santa Train during select dates in late November and throughout much of December. Southeastern Railway Museum: The Southeastern Railway Museum in Duluth offers a number of Santa-themed events. The first is "Santa Arrives On The Train" held on November 17th where kids can enjoy a meet-and-greet with the Big Man. In addition, from November 24th through December 15th the museum hosts breakfast and lunch events with Santa. To learn more please visit their website. 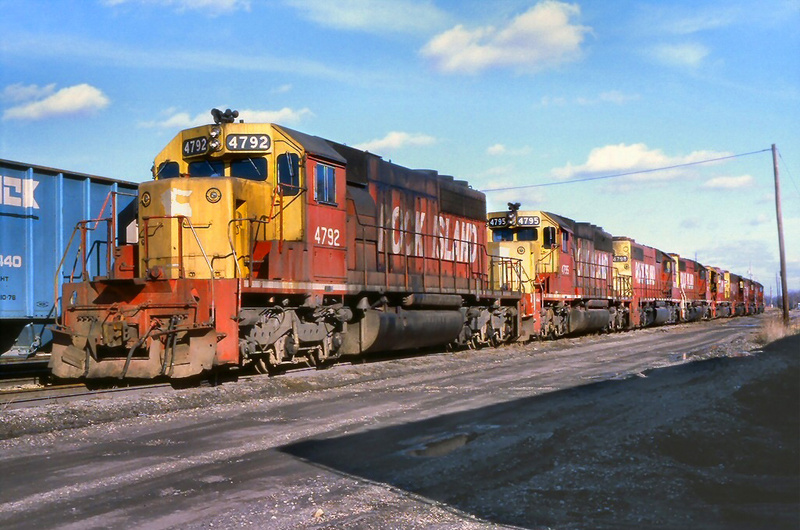 St. Marys Railroad: The St. Marys Railroad is a historic short line freight carrier based in St. Marys. 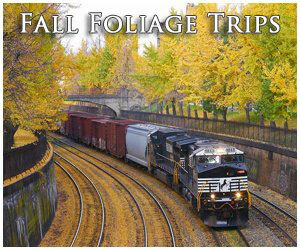 They now offer excursions, including their Santa Express during late November as well as a few dates in December. The train journeys to Santa's Village and Santa himself rides the rails during the return trip. Illinois Railway Museum: The museum offers the Happy Holiday Railway during select dates during late November and into December allowing kids to experience a 40-minute train ride while enjoying treats on-board and meeting St. Nick himself. Hoosier Valley Railroad Museum: The museum's popular Santa Trains are offered on select dates in December and feature a 45-minute train ride while the kids get to see Santa who gives each a small gift. 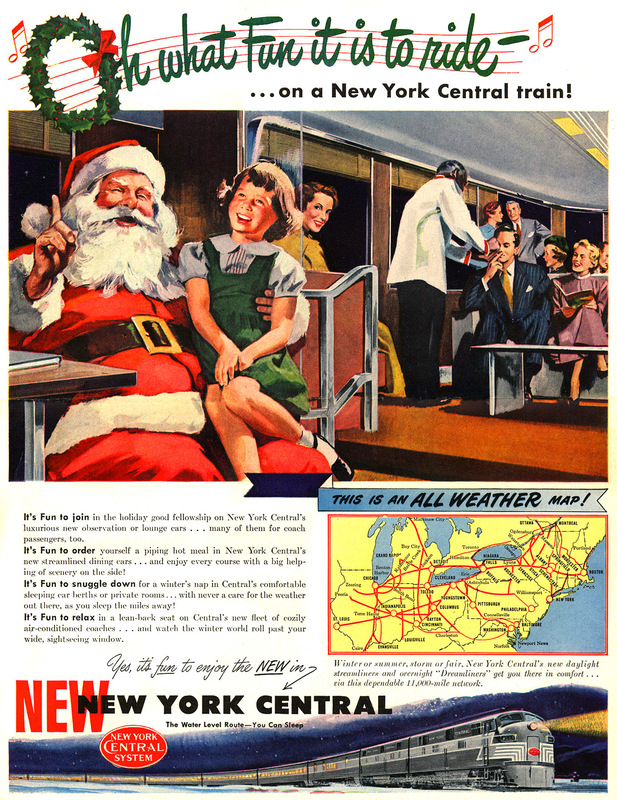 Midwest Central Railroad: This tourist line runs its North Pole Express during late November through early/mid-December departing North Station usually behind one of two steam locomotives, a Shay and 2-6-0 Mogul. During the trip kids can meet Santa and receive a small gift. Bluegrass Scenic Railroad: This tourist line, part of the Bluegrass Railroad Museum offers their Santa Claus Train ride during a few weekends in December. Kentucky Railway Museum: Very similar to official The Polar Express train rides the KRM's Santa Express and North Pole Express offer an hour train ride while allowing kids to enjoy hot chocolate and cookies during their trip to see Santa all while wearing their PJs! Trains are host beginning November 30th and run through December 21, 2018. Please visit the museum's website for more information. Boothbay Railway Village: This organization is located in Boothbay, Maine with a heritage dating back to 1965 when the museum first opened for the purpose of displaying railroad memorabilia collected by George McEvoy. Today, it includes a great many other transportation artifacts, such as historic automobiles. Finally, they host short train excursions on the grounds, including special events for the holidays (North Pole Express and Candlelight & Cocktail On The Rails). To learn more please visit their website. Seashore Trolley Museum: The museum's Christmas Prelude, held on select dates in early December, is actually just a trolley ride with a Christmas theme offering patrons hot chocolate, hot cider, tea, coffee and other snacks while aboard. In addition, they also host a similar trip where Santa rides along with the kids. To learn more please visit their website. Wiscasset, Waterville & Farmington Railway Museum: The rebuilt WW&F, a historic 2-foot, narrow-gauge railroad, offers a Victorian Christmas on December 15th only with free rides, a visit from Santa, and horse-drawn carriage rides. To learn more please click here. Walkersville Southern Railroad: The little Walkersville Southern in Walkersvill, during the holiday season beginning in late November the railroad offers its Santa Trains, allowing the kids to see the Big Guy and enjoy treats during the trip. 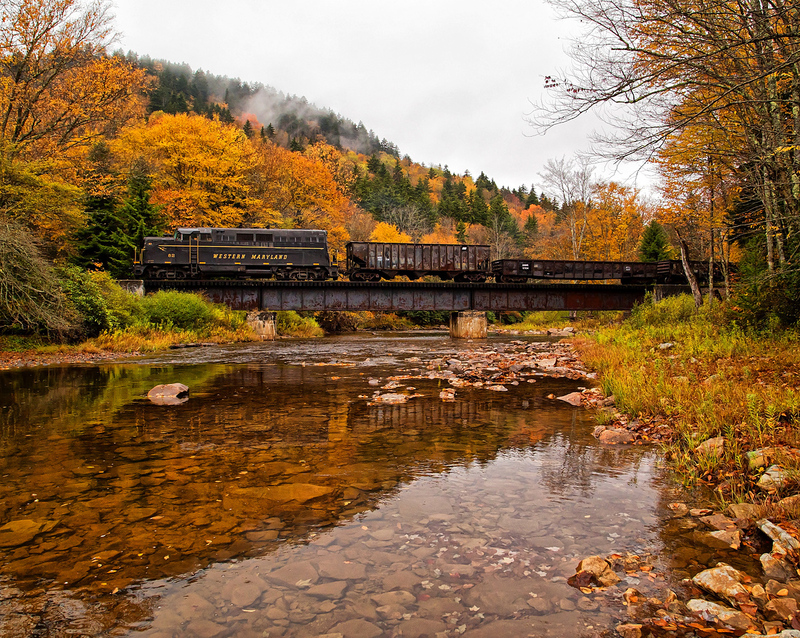 Western Maryland Scenic Railroad: The popular Western Maryland Scenic in Cumberland offers their Winterland On The Western Maryland during late November and into December. These holiday rides take visitors on a 3-hour journey to Frostburg with Santa riding along for the kids to meet. Cape Cod Central Railroad: The Cape Cod Central, located in Hyannis, hosts The Train To Christmas Town rides during select dates in November and December. To learn more please visit their website. Edaville Railroad: Based in South Carver, this tourist line used to host official The Polar Express train rides. Today, they host the Christmas Festival Of Lights from mid-November through early January. The event offers several different activities encompassed in a wonderland of Christmas lights. Shelburne Falls Trolley Museum: This museum offers their Moonlight Magic Friday on November 23rd. The town is bedecked in holiday lights, stores throughout the town (Shelburne Falls) are open late, and the museum gives trolley rides in equipment dressed with holiday lights. Coopersville & Marne Railway: Beginning in late November and throughout much of December this excursion train features its Santa Train. While Santa is, of course, aboard the train their version is a bit unique in that a princess reads the kids The Polar Express. Huckleberry Railroad: The popular Huckleberry Railroad, part of the Genesee County Parks system, is part of their popular Christmas At Crossroads Holiday Magic festivities that begin in late November and last throughout most of December. The train is decorated for the holidays and offers nighttime rides. Little River Railroad: Featuring real steam locomotives decorated for Christmas their Holiday Express offers kids on board treats and typically runs during select dates in December. Steam Railroading Institute: The SRI offers their North Pole Express beginning in mid-November, before Thanksgiving, and lasting throughout most of December. The trip lasts four hours, allowing kids to see Santa, enjoy cocoa and partake in live musical entertainment. They also offer a Cocoa Class for an extra fare which includes unlimited cocoa, a cookie, and a souvenir mug. Please note! The SRI owns the actual steam locomotive used in "The Polar Express" movie, Pere Marquette 2-8-4 #1225 which often pulls the train. Southern Michigan Railroad: This little tourist line offers the Santa Special excursions during the holiday season in December. To learn more please visit their website or call the railroad. Minnesota Streetcar Museum: This museum, based in Chisholm, offers rides in historic streetcars throughout the year while also hosting special events. These include their Holly Trolley, running during a few select dates in late December, where the kids can ride with Santa and the car is decorated for the holidays. They also run their Vinternatt on December 1st where the trolley is decorated for the holidays, Christmas lights along the route, and perhaps a special appearance from Santa. Finally, there is Christkindlsmarkt. According to the organization you will, "...visit a traditional European open air market, shop for unusual Christmas gifts, sample eats and drinks. Then take a ride on the decorated streetcar with Santa." North Shore Scenic Railroad: The railroad, part of the Lake Superior Railroad Museum, hosts their Christmas City Express from late November and throughout much of December. During the trip guests can enjoy the reading of the Christmas City Express story and a visit from Santa. Also consider their Bentleyville Tour of Lights train, hosted Fridays and Saturdays from November 23rd through December 22nd. Grenada Railway: The Grenada Railway is a revived short line freight railroad owned by Iowa Pacific Holdings which utilizes 176 miles of the former Illinois Central main line between Southaven and Canton (it was along this stretch that famed IC engineer Casey Jones lost his life in a collision at Vaughan). They will host The Train To Christmas Town departing from Batesville during select dates in November and December. 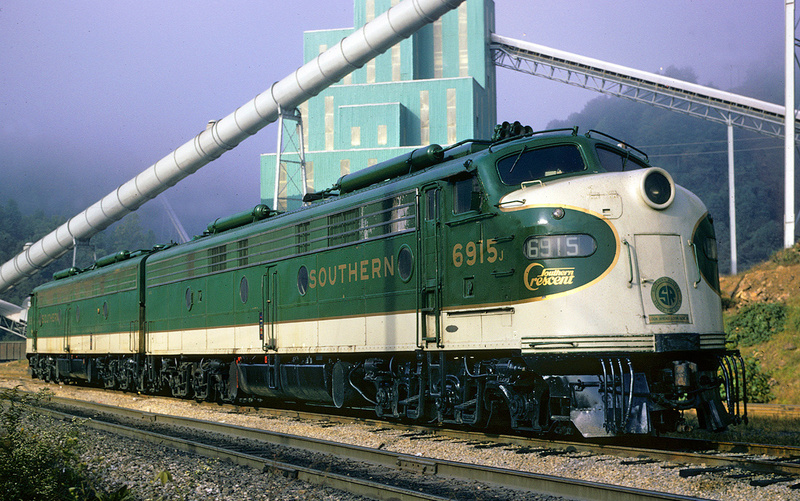 St. Louis, Iron Mountain & Southern Railway: This excursion line, based in Jackson, offers their Santa Express from late November, throughout much of December where kids can see Santa and The Polar Express is read to all during the 2-hour trip. Sold out for 2018! Charlie Russell Choo Choo: Montana's only excursion line offers guests splendid views of northern Montana aboard their North Pole Adventure, which lasts for 40 minutes and is offered several weeks after Thanksgiving. To learn more please click here. Conway Scenic Railroad: Their Santa's Holiday Express is offered from Thanksgiving Weekend through late December. Trips last nearly an hour with kids enjoying cocoa, cookies, seeing Santa, and receiving a small gift. Hobo Railroad/Winnipesaukee Scenic Railroad: They host Santa Trains from late November through the latter half of December. The trains operate between Lincoln and Woodstock during the daytime only and last over an hour with kids able to enjoy treats along the way and see Santa. Black River & Western Railroad: The North Pole Express takes visitors to the North Pole Station and operates from mid-November through late December with kids able to enjoy treats, sing Christmas carols, visit with Santa and Mrs. Claus, and receive a small gift. To learn more please visit their website. Pine Creek Railroad: Operated by the New Jersey Museum of Transportation, the Pine Creek Railroad offers the Christmas Express where kids get to ride with Santa and trains depart all day from around Thanksgiving Weekend through mid-December. For more information please visit their website and plan ahead as this ride, which has been offered now for more than 35 years, usually sells out quickly. 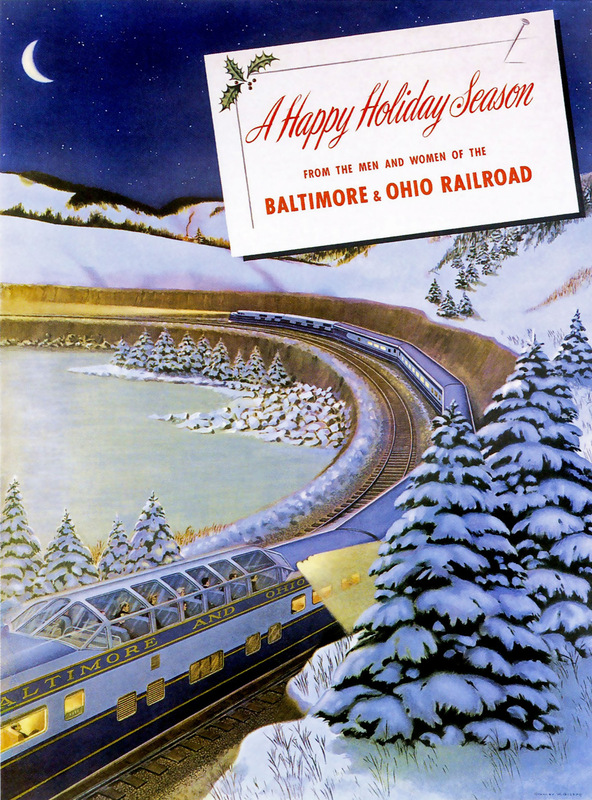 Cooperstown & Charlotte Valley Railroad: The Cooperstown & Charlotte Valley operates Christmas Lights Trains and the Santa Express during the holiday season, the former in early December and the latter from late November through mid-December. Arcade & Attica Railroad: The North Pole Express, lasting about 2.5 hours, operates most weekends from mid-November through December 23rd with kids encouraged to dress in their PJs while visiting Santa and enjoying hot cocoa and cookies. Please be aware that these trains use open-air cars so be sure to dress accordingly. New Hope Valley Railway: During the month of December, on select weekends, the railroad hosts Santa’s Reindeer Roundup Express. To learn more about these trips lease visit their website. Hocking Valley Scenic Railway: The organization's longest running event is the Santa Train held during late November through mid-December with several runs made on each day these special events run. They have remained a popular event on the railroad for many years! Lebanon Mason Monroe Railroad: The North Pole Express allows kids to experience a half-hour train ride to see Santa and Mrs. Claus at LM&M Junction while enjoying treats along the way and entertainment from the elves. It is usually offered from mid-November through late December. Northwest Ohio Railroad Preservation Inc.: This organization, based in Findlay, operates a 1/4-scale railroad and hosts several special events, including the North Pole Express during the holidays. It operates Fridays-Sundays, November 23rd through December 30th. Oklahoma Railway Museum: This museum, based in Oklahoma City, hosts their Christmas Train a few times in December among their many other excursions offered throughout the year. According to the museum: "Come see Santa, sing Christmas Carols and hear a reading of Christmas stories! Enjoy cookie and hot chocolate reception after the ride. Smiley O’Riley from Dental Depot will be handing out goodie bags to all of the children." Mount Hood Railroad: The Mount Hood Railroad, located in Hood River, will host Iowa Pacific's very own The Train To Christmas Town during select weekends from late November through mid-December. They also offer three classes of tickets so please visit their website to learn more. Oregon Rail Heritage Foundation: The ORHF, which maintains two operating and historic steam locomotives in Portland (Southern Pacific 4-8-4 #4449 and Spokane Portland & Seattle 4-8-4 #700) hosts The Holiday Express (pulled by #4449) during select weekend dates from late November through mid-December. For complete information please click here. Sumpter Valley Railway: Based in Sumpter, this tourist attraction offers steam-powered Christmas Trains during December where kids can meet Santa. These events are held during a two-day only event, December 8-9. Colebrookdale Railroad: A relatively new tourist railroad, the Colebrookdale Railroad, also known as the Secret Valley Line, began service in 2014 and operates 8.6 miles between Boyertown and Pottstown. They currently offer two different holiday excursions including the 'Twas The Night Before Christmas Train and Santa's Polar Bear Express. For more information please visit their website. Middletown & Hummelstown Railroad: The Milk & Honey Line offers the Polar Bear Express and Santa’s Surprise Trains from late November through mid-December with kids able to see the Big Guy. Please visit their website to learn more. New Hope & Ivyland Railroad: Running from mid-November through early January, the North Pole Express includes an over one-hour train ride where kids are able to see Santa, listen to live music on board, and enjoy hot cocoa and cookies where they also receive a gift during the trip. These trains are also usually pulled by authentic steam locomotives. They also have a new event entitled Santa's Steam Spectacular. Oil Creek & Titusville Railroad: The Oil Creek & Titusville, based in Titusville, operates Santa Trains during a few weekends after Thanksgiving where the kids enjoy hot chocolate and cookies while riding along with Santa himself. In 2018 these run November 24-25 and December 1st. Strasburg Railroad: The second most popular tourist railroad in the country offers their own version of a Christmas train, the Santa Paradise Express. The train runs from late November through the weekend before Christmas and operate between Lancaster and Paradise. The kids get to see Santa and the trains are always pulled by steam locomotives. The railroad also now hosts The Night Before Christmas special during the holiday season (check out the Christmas Feast offered on this tip!). Finally, they run a Christmas Tree Train in early December. To learn more about these events please visit their website. Wanamaker, Kempton & Southern Railroad: The WK&S is based in Kempton and offers their Santa Claus Special during the first weekend in December (8th and 9th) where kids are able to see Santa and Mrs. Claus. The railroad also hosts Story Time With Mrs. Claus on December 7th. Newport & Narragansett Bay Railroad: Based in Newport hosts a themed-trip called the "Dickens Holiday Dinner Theatre Train." Guests will enjoy a meal while enjoying a retelling of Charles Dickens' "A Christmas Carol" by the Marley Bridges Theatre Company. They also host a "Jingles On The Rails Holiday Dinner Train." To learn more please visit the railroad's website. South Carolina Railroad Museum: The state's largest railroad museum also operates excursions on its premises known as the Rockton, Rion & Western Railroad. One such event is the Santa Train held during select dates in December. Tennessee Central Railway Museum: This popular museum in Nashville also hosts excursions, including the North Pole Express on select dates in November and December. The train also offers three different classes of seating; regular, first class, or dome. Tennessee Valley Railroad: Another popular excursion, the Tennessee Valley Railroad offers their North Pole Limited (November and December dates), usually pulled by a live steam locomotive and giving kids the chance to see Santa, listen to story, sing songs, and enjoy refreshments. They also offer a special holiday dinner train known as the Christmas Special Dinner Train during late November and into December. Two more events include Nightcaps With St. Nick and Santa's Hiwassee Holiday Train. To learn more about these events please visit their website. Three Rivers Rambler: Their Christmas Lantern Express is just that, festive holiday trains pulled by a live steam locomotive. These trains typically operate every weekend from the Friday after Thanksgiving until just before Christmas (December 23rd). Please visit their website to learn more. Austin Steam Train: The North Pole Flyer is another Christmas train pulled by an authentic steam locomotive and offers a very long 2+ hour train ride while the kids get to see Santa, enjoy cookies/hot chocolate, and receive a small gift. It operates on select dates from November 17th through December 9th. Grapevine Railroad: The railroad's most popular Christmas train is the North Pole Express for the kids, which runs from the day after Thanksgiving until December 23rd. Sold out for 2018! In addition, they host Christmas Wine Trains for the adults on November 29th and December 13th as well as After Christmas Trains from December 26-30. Please visit their website to learn more. Heber Valley Railroad: The North Pole Express takes kids on a magical ride to see Santa aboard the train. During the trip they can listen to choir-performed Christmas songs, play games, enjoy refreshments, and take in the beautiful scenery. The train is hosted during select dates from late November until December 22nd. Buckingham Branch Railroad: The Santa Train operates several times on select Saturday’s in December. As the train journeys through the Buckingham County countryside, Santa and Mrs. Claus will pass through the seasonally decorated cars and visit with the children. Make sure to plan your trip in advance as these trips always sell out quickly! Chelatchie Prairie Railroad: This tourist line is based in Chelatchie and hosts their Christmas Tree Specials during a few weekends following Thanksgiving through the first half of December. Please visit their website to learn more. Lake Whatcom Railway: The Christmas Train takes passengers on about a 1 1/2-hour journey during which time everyone can enjoy on board refreshments, listen to live music, and have a visit from Santa. For more information please visit their website. Northwest Railway Museum: The Santa Train has been in operation for more than 40 years now offering a 20-minute train ride to the Snoqualmie Depot to see Santa and receive a gift. Kids also receive refreshments during the trip. The train operates every weekend from after Thanksgiving through December 16th. The museum also hosts a Victorian Santa Train on December 14th. To learn more please visit their website. East Troy Electric Railroad: The East Troy Electric, based in East Troy, hosts excursions in restored trolley and streetcars. They offer a number of special excursions throughout the year including Christmas Trains during the holidays from late November (after Thanksgiving) through mid-December. They will also take part in a Christmas Parade Train on December 1st. To learn more please visit their website. Mid-Continent Railway Museum: This museum, located in North Freedom, also offers excursion train rides including the Santa Express during two weekends following Thanksgiving. The historic cars used on this trip are heated with old-fashioned wood stoves during the 7-mile round-trip that lasts about an hour. Wisconsin Great Northern Railroad: The Santa Pizza Train is offered this season every weekend from November 17th through December 23rd, featuring a 2 1/2-hour train ride for kids to enjoy pizza while riding with Santa. The kids also receive hot cocoa and cookies along with a small gift. Dartmoor Railway: The Dartmoor Railway, a division of American-based Iowa Pacific and located in Okehampton, United Kingdom will host The Train To Christmas Town excursions throughout most of December.